Hide deals from seller "The Soap Bar"
Click 'Get It' and select $10 option or $20 option. Limit 1 per person; may purchase 2 additional as gifts. Valid toward any merchandise. Promotional value expires 60 days after purchase. $9 for $10 toward products. $18 for $20 toward products. The Soap Bar opened its doors 10 years ago when owner Rita realized that there were no soaps or lotions on the market that helped her dry skin. After experimenting, she developed a natural, homemade soap that produced a rich, nourishing lather. 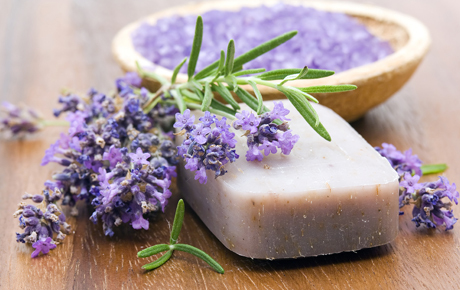 Today, The Soap Bar offers a variety of made-to-order soaps, as well as soy soap, goat milk lotion, perfume and more. Each product is strictly evaluated so customers get the freshest, highest quality products every day. A store in Villa Park offering handmade soap and spa products.